Getting to Machu Picchu by road was for years a true nightmares during the rainy season (November through March) as the roads would be almost inaccessible. Nowadays the situation has improved quite a bit but this is still a bit the “off the beaten track” road to Machu Picchu. Some tour companies organize this trip, often in combination with other activities such as biking and rafting but this is a route that can be done by public transport as well. In order to get there with public transport can be a somewhat time-consuming undertaking but nevertheless the rewards are plenty. You would have to take a bus from Cusco to Quillabamba, the first bigger jungle city after Cusco. This bus will take you from Cusco to Ollantaytambo in the Sacred Valley and from here you will continue the road until you suddenly start rising quickly in altitude. 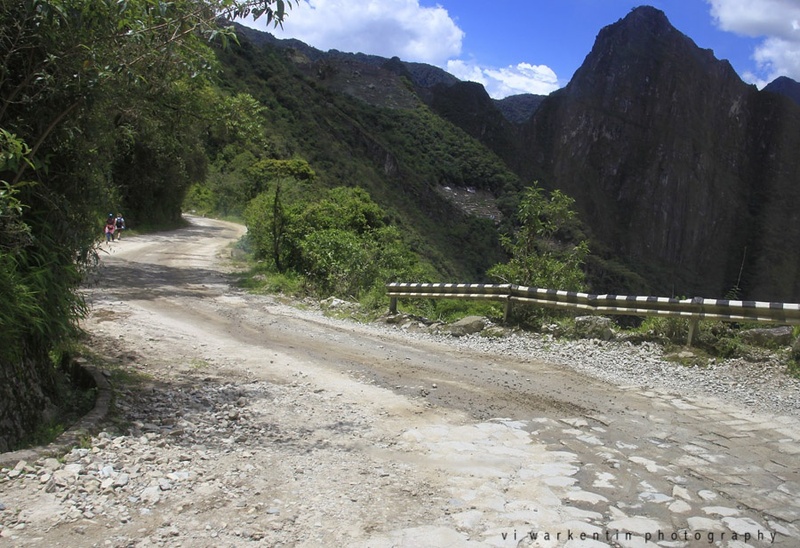 You will reach the Malaga Pass at 4316 meters from where the road will start going down towards the jungle supporting hundreds of turns along the way.The drive from Cusco takes about 4 hours and will set you back around US$10-12. The road is unpaved for the biggest part and in the rainy season may not be the safest road around. Nevertheless the road is being maintained better and lesser accidents do happen. From the Malaga Pass it is another 1.5 hours to Santa Maria – in shared taxi about US$3-5. The landscapes will change quite abruptly and show you one of the better examples of the transition from the Andean Highlands to the Cloud and rain forests on lower altitudes. Santa Maria is a small out of nowhere kind of village that thrives on being the communication point between Santa Teresa, Quillabamba and Cusco. Here you will have to change vehicles if you are traveling with public transport and take a side road for another hour and half until you reach Santa Teresa. In Santa Teresa there are some nice Thermal Baths at about half an hour walking from the town (entrance fee US$4). If you are planning on going to the Thermal Baths in Aguas Calientes, this may be a better option. The thermal Baths in Santa Teresa are much less crowded, better maintained and cleaner than the ones in Aguas Calientes. From Santa Teresa you will have to take a taxi for another 45 minutes to the Hydroelectric Plant. This is where the road stops and from where most people will have to walk the last 5-6Km for about one hour over the train tracks till they reach Aguas Calientes. 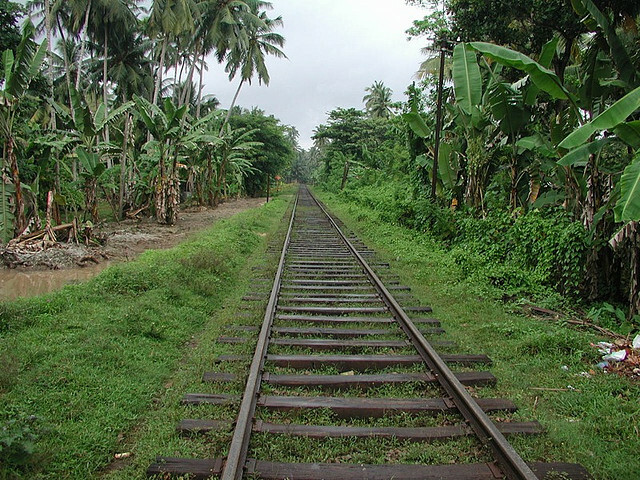 You may get lucky as some local trains do pass by and often pick up tourists but I would not take this for granted. If you would be interested in taking this road to Machu Picchu, it may be recommendable to do this the way there and come back with the train as this will give you the chance to enjoy both routes to Machu Picchu. In general the way there from Cusco is easier to travel due to available transport than the way back to Cusco.